This classic kitchen in the Preston Hollow neighborhood is a great example of a spot-on traditional with handcrafted quality. 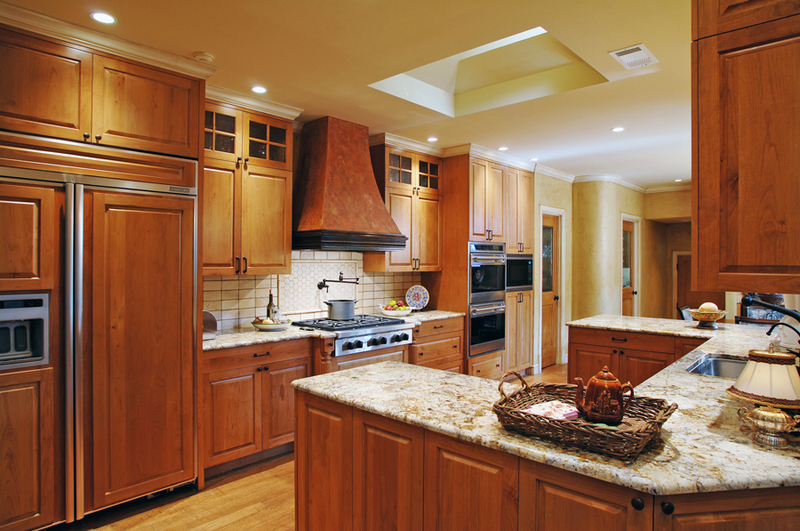 It's elegant, understated and inviting with state of the art appliances, gorgeous Geriba gold granite and excellent lighting, including under cabinet low voltage LED illumination. Click on any photo for larger image. 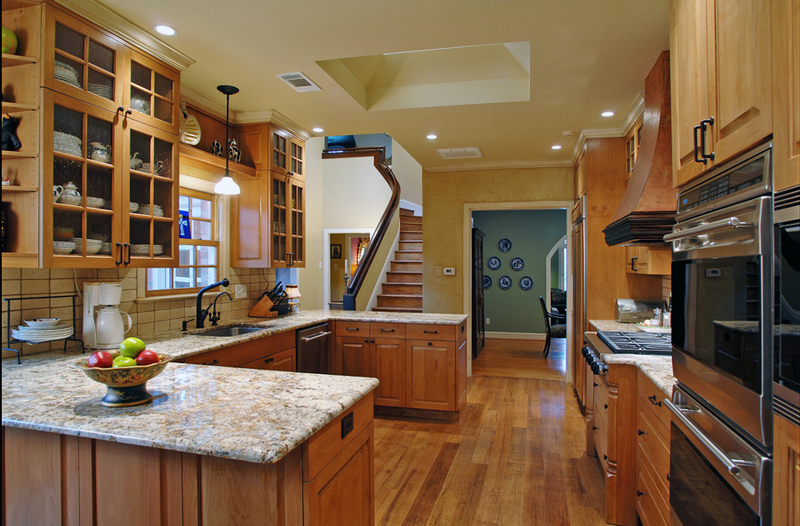 Partition walls that had previously isolated the kitchen from rest of the house were removed so that the new construction would flow seamlessly within the footprint of the existing home. The custom cabinetry was made from select alder and stained by hand for a flawless finish. Flemish glass adorns the pantry and laundry room doors. Distressed hard wood floors traverse the length of the room. 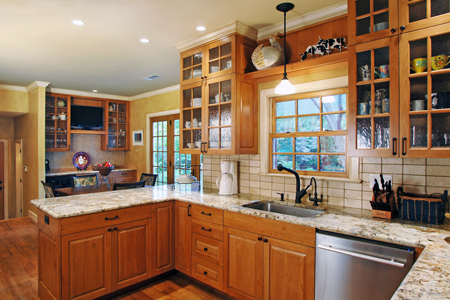 This beautiful kitchen was designed by Carol Gantt in partnership with Sydney Fiedler. Copyright © 2011 Ronald L. Siebler. All Rights Reserved.